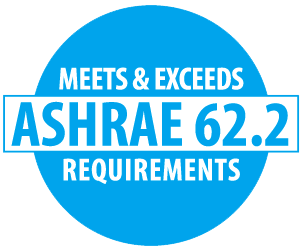 ASHRAE 62.2 is the national standard applied to ventilation and acceptable indoor air quality in low-rise residential buildings. ASHRAE 62.2 sets minimum requirements for effectiveness and noise levels of continuous and intermittent mechanical exhaust systems. All Delta Breez fans are engineered to meet ASHRAE 62.2 standards.